New Delhi : Bollywood actor Nawazuddin Siddiqui who has appeared in some of Bollywood's major films including, 'Black Friday', 'New York', 'Peepli Live', 'Kahaani', 'Gangs of Wasseypur', 'Gangs of Wasseypur - Part 2' and many more others, prefers his lean body structure as he feels it allows him to do variety of roles. "I think six-pack (abs) body limits you as an actor. I can do a variety of roles as I have a normal body structure," said Siddiqui in a Q&A in Melbourne, when he asked about the physique-conscious Bollywod. The 42-year-old "Badlapur" star interacted with the audience at the ongoing Indian Film Festival of Melbourne (IFFM), where he was honoured with the best actor award for his performance as apsychopathic serial killer in "Raman Raghav 2.0". The actor described the roleas his most challenging work yet. "The entire film process had beenvery challenging. Ithas beenvery challenging role for meas the character I am playing was someone, who loveskilling people." 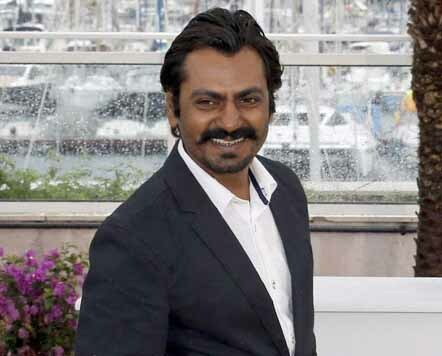 Siddiqui further said that he believed themost difficult andvital part ofacting wasto achieve the level ofhonesty in the role that an actor plays.